April, 2018 – Midkiff, Muncie & Ross, P.C. welcomes two established defense attorneys to the firm. Daniel L. Robey will lead the first and third-party practice in the firm’s Oakton office. A civil litigation defense attorney, Mr. Robey has over 30 years of experience in matters involving complex coverage, personal injury, property damage, product liability, and construction defects. Thomas A. Counts II joins the firm’s Roanoke office, and also brings over 30 years of experience. Mr. Counts will practice in the areas of complex civil litigation, the defense of first and third-party insurance claims, and coverage. 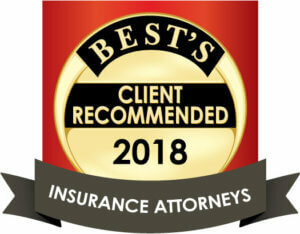 Both attorneys formerly served as counsel for the Trial Division of Nationwide Insurance while at the law firm of Robey, Teumer, Drash, Kimbrell & Counts.